Ordered. Need more Samurai action figures to go with my Articulated Icons figures. 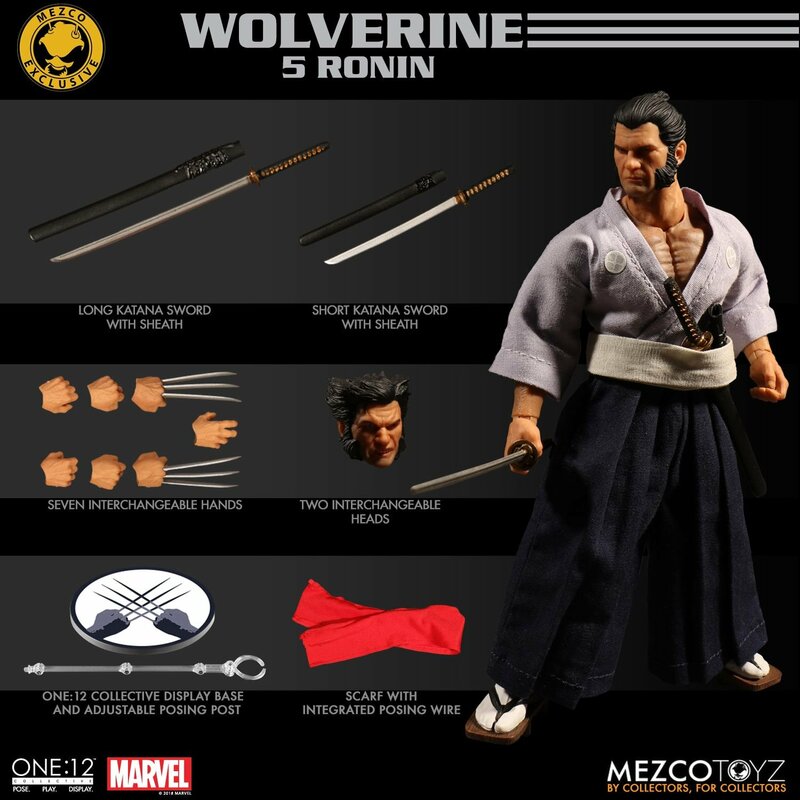 Plus, can never have enough Wolverine figures, plus this just looks really awesome. Ordered, I didnt even read the comic this is based off of but this looks amazing, I love the aesthetic. Changed to "Wait List" while I was checking out. Damn, sorry man. I hope you get converted from the wait list. I got lucky somehow. this looks dope..and original....a great idea....but i already know i don't care for the mezco style figs..
Love the execution and styling. Especially the unique head. Another Mezco exclusive I missed out on but maybe I'll get lucky on wait list. Ended up with a batman beyond I wasn't expecting. Glad mezco reduced the limit to 2 figures instead of 10 at least. So you actually got a Batman Beyond off of the waitlist? How long after the figure sold out did you place the order? Inspired by Marvel's Editor In Chief, Akira Yoshida! I can't remember when it sold out but my receipt email is from Jun 14, 12:50am. So probably a few hours. The Punisher didn't even have the option of a wait list. Super nitpicky but they wouldn't be a "long katana" and "short katana". It's just a katana and wakizashi. Even then they don't look curved enough for either.